Serengeti highway to be build around the National Park? "Despite world protest and a recent offer from the World Bank, Jakaya Kikwete, President of Tanzania, states that the northern route through the Serengeti will be built." That was the headline of a an email from Serengeti Watch I received yesterday. Shocking news, but it seems that the Tanzanian government has actually changed plans. According to a posting on Serengeti Watch's facebook page, the road will be built, but AROUND the Serengeti. The poster is furthermore saying that the news about the redirected highway was already on the TV news. UPDATE (03 Feb 2011): no updates on the highway so far... only contradictory news from different sources. Pls follow the facebook page of Serengeti Watch for more updates. The Zambia Tourism Board needs your help in creating a new brand for marketing Zambia as a tourism destination. This will include a slogan and logo to replace the existing "Zambia – the Real Africa". The slogan should be in English and appeal to a broad, global audience. There are no word limits on the slogan but short and snappy is recommended. Closing date is 25 February 2011. Activity options may include – safari drives, walking safaris with expert guides, canoeing on the Zambezi, walking with elephants or lions, white water rafting, fishing the Zambezi for the fighting tiger fish, bungee jumping, cultural shows, village visits and much more. Namibia: Lodges, campsites, roads etc. closed due to rain/floods - recent updates! update (08 Feb 2011): Parts of the C39 between Khorixas & Twyfelfontein are in a bad condition. Please use the C35 south and turn onto the D2612 till you reach the Aba-Huab River. From here follow the road sign to the D3254 and to Twyfelfontein. The D1206 between Rietoog & Büllsport is in a very bad condition. Please use the MR47 between Rietoog and Nabaseb instead. The Remshoogte Pass (C24) between Rehoboth and Solitaire is closed. Alternatively use the MR47 between Rietoog and Büllsport instead. update (07 Feb 2011): Traffic on the B1 road between Karasburg and Ariamsvlei was disrupted on Friday evening after heavy rains caused extensive damage. Railway lines in the area were also washed away, leaving a freight train on its way to Windhoek stranded in the veld. Telecommunication services were also cut off at Karasburg and Ariamsvlei after floodwater damaged a fibre-optic cable. The Remshoogte Pass between Rehoboth and Solitaire (C24) is closed. The Spreetshoogte Pass (D1275) is open for 4X4 only. C19 - Between Solitaire and Sesriem. The Tsondab River is flowing and travellers should please follow the signs for the detour. The Gaub River is running and the Gaub Pass between Walvis Bay and Solitaire (C14) is currently closed. Parts of the B3 tarred road between Ariamsvlei and Karasburg have been badly damaged by washaways. Travellers from South Africa are advised to enter Namibia via Botswana or Noordoewer. Detours are expected to be constructed on the B3 by 08.02.2011. Hakusembe River Lodge has reopened after a brief closure as a precautionary measure following rising water levels in the Kavango River. Reservations are being accepted and guests are receiving warm welcomes. Hakusembe River Lodge also reports that the road is dry. update (04 Feb 2011): The Fish River Lodge (nb. the only lodge perched directly on the rim of the Fish River Canyon) is reporting that the access road to the Lodge is in a reasonable condition. They are furthermore reporting that the D463 gravel road has been damaged by the rains, but is still drivable. Both the C13 along the Orange River and the C12 south of Seeheim (between Aus & Noordoewer) are currently closed. The access road to the Fish River Lodge is in a reasonable condition. update (03 Feb 2011): The Namibian Water Authority opened the gates of the Hardap and Naute dams in southern Namibia (01 Feb 2011), adding to flows in Fish River, which feeds into the Orange River along the country’s border with South Africa. River levels in the north remained stable. Water levels at Katima Mulilo in the Caprivi Strip have increased 4 meters last week to 4.33 meters this week on 1 February 2011, as compared to the normal level of 1.57 meters for this time of year. update (02 Feb 2011): According to the Namibia Red Cross Society the Orange River has risen to 8.90m and is predicted to reach a maximum of 9m. More than 1000 people have been "relocated permanently" from 32 flood-prone villages in Caprivi, as Namibia’s most northerly province prepares to meet a Zambezi River swollen to near-record size for this time of year by torrential rains upstream. update (29 Jan 2011): Road between Uis <> Khorixas - due to all the rain the roads not roadworthy for any Quantums, Kombis and any kind of bus. The Ugab river is running from side to side. The Zebra River Lodge is reporting that the D854 is currently not easy to drice with a small car. Take care! C43 - the road is in pretty bad condition between Opuwo and Epupa Falls and between Sesfontein and Opuwo. Only drive this road with a 4x4. Between Seeheim & Holoog - The Löwen River is in flood and part of the C12 can not be used. Please drive the B4 from Keetmanshoop and turn into the D545. The road bypasses the flooded area and re-joins the C12. C46 - The road has a lot of areas with deep water between Ruacana & Kunene River Lodge. Although there are detours these are in a very bad condition. A 4x4 with an experienced driver is required. It is advisable to drive to Kunene River Lodge from Opuwo. The following video, shot in the Shamwari Game Reserve in South Africa, is showing a footage rarely been seen by most of us. The rangers of the reserve put out a camera trap to film the "activity" around a hippo carcass... and it is not only the typical carnivores making a visit! Air Malawi's Boeing 737-200 is currently been taken out of service due to unscheduled maintenance and will only return to service on 30 Jan 2011. Therefore all domestic flights between Blantyre and Lilongwe have been cancelled. All passengers on flights to Johannesburg, Lusaka, Harare, Dar-es-salaam and Nairobi are being re-routed on Kenya Airways and South African Airways. Videos of a silverback gorilla walking upright like a man is currently becoming a smash hit on the internet/youtube.. The male, called Ambam, is part of a group of endangered Western lowland gorillas at Port Lympne Wild Animal Park, Kent (UK). Effective 27 Feb 2011, South African Airways will start operating the daily Johannesburg <> Nairobi service with a A340, so that the capacity on the route is getting increased from currently 2918 seats to 3500 seats per week. Effective 27 Mar 2011, South African Airways will also introduce a widebody aircraft on seven of its 20 weekly Johannesburg <> Windhoek (Namibia) services. This will increase the number of the airline’s seats available on the route from currently 5830 to 6746 per week. All services are perfectly timed for connections to and from Frankfurt, Munich, London and New York via Johannesburg. On the domestic market, South African Airways will increase the seats available on the Johannesburg <> Cape Town route by operating an additional scheduled flight on a widebody aircraft. Follow Migration Mark from migrationology.com on his tour through Kenya's capital Nairobi as he searches for the city 's finest food and best attractions! Chakula njema! All the roads leading into the game area in Augrabies Falls National Park - as well as the Day Visitors Picnic Site - are currently (26 Jan 2011) not accessible due to the recent floods. The Day visitor/picnic area, including the braai and swimming pool facilities for Day visitors. The road into the scenic area, including the three lookout points overlooking the river namely Oranjekom, Ararat and Echo Corner, had to be closed due to damage to park roads. Visitors should wear appropriate footwear as the rocks can be slippery when wet. 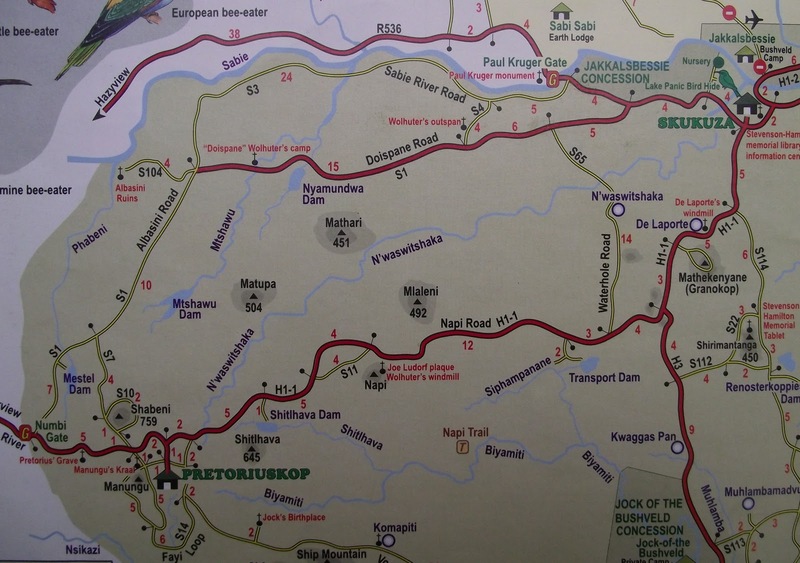 The S3 Road (gravel road towards Kruger Gate) in the Kruger National Park (KNP) is temporarily closed until further notice (26 Jan 2011). Maintenance work will be done from the S3 road to the S3/S1 junction. The closure will allow for maintenance work to be carried out after the recent rains throughout the park. The year 2010 was a good one for South Africa. Apart from the obvious success of the World Cup, South African liqueur giant Distell managed to further enhance the country’s international reputation. The company’s flagship brand Amarula, a tasty blend of cream and extract of marula (Sclerocarya birrea, known locally as the elephant or marriage tree), has recently been ranked sixth in a Top 10 Hot Liqueur poll conducted by respected global publication Drinks International. This is the first time that the product has featured on this list. Seven hundred bartenders, bar owners and mixologists across 60 countries were asked to identify the brands that their patrons demanded the most. Distell’s senior global spokesperson Siobhan Thompson said the boost in popularity is mainly due to Amarula’s versatility. “We are really excited that there is such a growing recognition of its ability to play in the on-trade arena with appreciation for its nuanced and multi-layered flavours of coffee, vanilla, chocolate, toasted nuts and citrus,” she said. Amarula’s success also stems from its marketing campaign during the 2010 World Cup. Since the brand was an official licensed product at the tournament, the sought-after gold trophy replaced the elephant traditionally used as a logo on its packaging, and the campaign showcased the versatility of the product. Another move that contributed to this rise took place in the first half of 2010, when Distell appointed Cellar Trends to handle their UK distribution of Amarula. Cellar Trends distributes other heavyweight brands such as Jagermeister, Cinzano, Campari and Skyy Vodka. At the time, Distell Europe’s MD Gary Greenfield clearly stated that the company was looking to raise the profile of the drink. “We were looking for a successful distributor with an existing portfolio of strong brands that would complement Amarula,” he said. In August, research conducted by business intelligence provider Euromonitor International labelled the cream liqueur as one of the fastest growing spirits in the world, appearing seventh on a list out of 100. Thompson said “The Spirit of Africa”, as it is known, is showing consistently good growth in the 103 countries that it is sold. “This holds true even in major markets where the brand is already well-entrenched. Some of the most spectacular volume increases have come from Latin America, historically a strong supporter of Amarula, and Europe, most notably Germany, which remains the single biggest off-shore market for the brand,” she said. She added that Asia-Pacific, North America and Africa have also shown impressive increases. Portugal's national airline TAP Portugal and the national airline of Mozambique LAM (Linhas Aéreas de Moçambique) will combine all direct flights operated by both airlines from Portugal to Mozambique and South Africa from June 2011. TAP Portugal currently operates three flights per week between Lisbon and Johannesburg with a stopover in Maputo plus a fourth direct flight to the Mozambican capital. From June 2011 on four direct flights between Lisbon and Maputo will operate as code-share flights, two on TAP Portugal and two on LAM operated aircraft. From the same date onwards LAM will provide connections between Maputo and Johannesburg on its own aircraft in a schedule connecting with the Lisbon arrivals and departures. These flights will also carry the TAP Portugal code enabling passenger and baggage check-in to the final destination, which in turn simplifies pricing tariffs. In the near future the same operating model is being planned for Cape Town. UK travel mag Wanderlust and South Africa Tourism are giving away a week-long self-drive tour of South Africa! From the beaches of Durban to the soaring peaks of the Drakensberg mountains, bustling wildlife reserves to haunting battlefields, KwaZulu-Natal province is the perfect welcome to South Africa. In just a few days you could spot white rhinos, relive the battle of Rorke’s Drift and take a heart-thumping hike through 3,300m rock pinnacles. Factor in good roads, driveable distances, and no jetlag from the UK, and it’s easy to see why KwaZulu-Natal makes a superb place for a self-drive adventure. register yourself with Wanderlust and send the correct answer to them (before 17 Feb 2011). For more info about the travel competition, the terms & conditions (nb - the comp is only open to citizens of the United Kingdom) etc. click here! Johann from Dirty Boots and Darren from Swazi Trails got inspired by Cape Town's growing stature as a global adventure centre and tried to find out how many extreme activities they can fit into a single day... and ended up with 18 activities!!! Congrats Jo & Darren for the world record and Cape Town for truely being the adventure centre in the world! 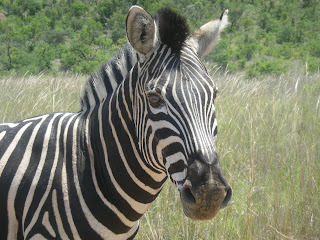 update (08 Feb 2011): The proposed park fee increase for the Mara Reserves is to be postponed until 30 June 2011. Until then, the current park fee ($60)) will remain in force for all visitors to the reserves. From 01 July 2011, the new gazetted rate of $70 (for properties inside the reserve) and $80 (for properties outside the reserve) will come into force. will pay a reduced fee of $70 for adults and $40 for children. update (09 March 2011): Day visitors to the Kruger National Park will no longer be allowed to bring or consume alcohol in public areas such as parking lots, picnic sites, wildlife viewing areas or roads, gates and all other areas designated as public as from Friday 18 March 2011. The office of SANParks, Chief Executive, Dr David Mabunda has been inundated with scores of reports on the bad behavior of tourists, mainly day visitors, in the Kruger National Park (KNP) over the festive season. While this is not a new phenomenon the scale at which these incidents are growing has reached intolerable levels. Day visitors will no longer be allowed to bring alcohol through the park’s gates and to public places like picnic spots in line with rules and legislation governing public places. As from the next long weekend, Easter Holidays, a “park and ride” system on Open Safari vehicles or similar motor transport will be introduced for day visitors at all gates to reduce traffic congestion and prevent day visitors from playing music from their car stereos. A reasonable fee will be levied for the park and ride as part of the daily entrance fee or in addition to the wild card if a visitor has one. A booking system for day visitors will be enforced to match numbers with available transport on the park and ride system. Visitor monitoring at picnic spots and other public places during major holiday periods and long weekends will be stepped up to improve behavior. A massive public education programme through local and national radio stations and newspapers will be undertaken to educate the public on expected behavior in a national park. It has to be noted that these changes will not affect overnight visitors for whom controls are in place to regulate noise making and alcohol consumption within the confines of the camp. In addition the Wild Card Holders, visitors or tourists from neighbouring lodges as well those visitors coming through the park with tour operators will also not be affected by these rules. Amazing video about Cape Town! African air travel on the rise!